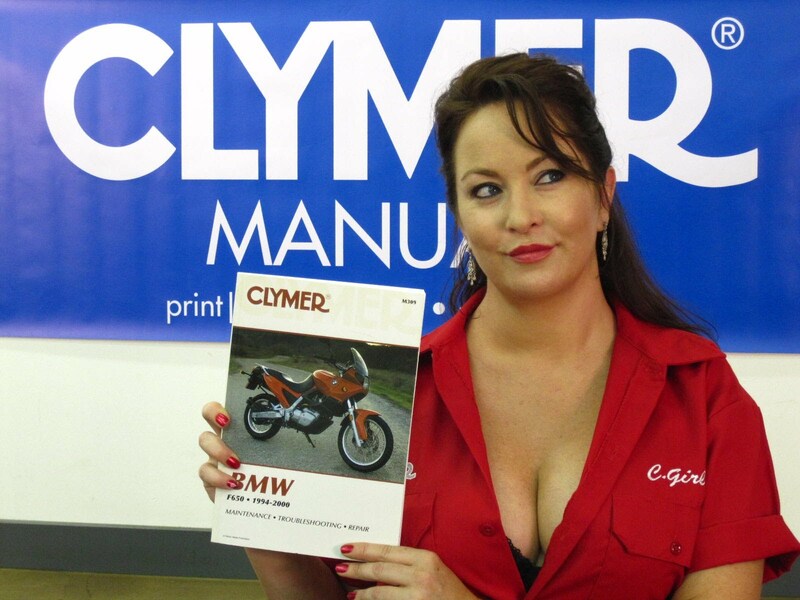 My Clymer manual has a nice section on the basics of working on a motorcycle. It’s well worth reading, at least enough to know what’s in there. I’m guessing a good shop manual will have a section like that in it, no matter what bike you have. 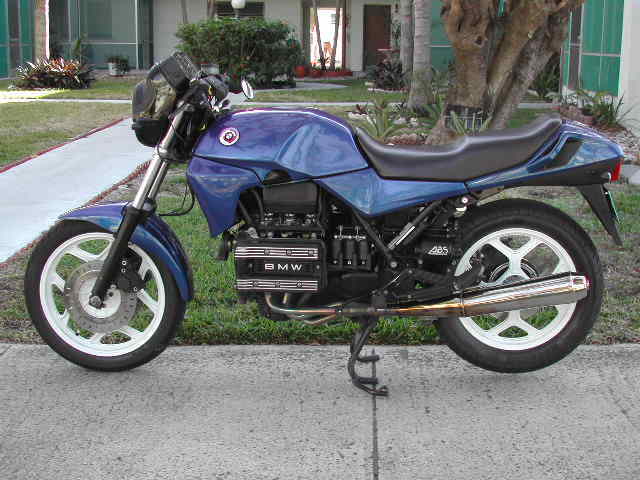 If not, you can Google Motorcycle Mechanic Basics, or something similar, to get a feel for the initial issues. What about the possibility of inadvertently making the motorcycle unsafe to ride? I think this is unlikely. A professional mechanic that gets interrupted and fails to complete something is probably just as big a threat. Is your front wheel going to fall off, for example? No. Take a look at how the wheel is attached to the bike. The axle has about an inch of thread on it. You insert the axle through the wheel bearings and screw it into the left fork. The right side sits in a cradle that has a cap with 4 lock nuts holding it on. A glance at it shows you that it is all intact. Even if everything loosened up, that shaft has to back way out before it would fall off. You would notice it. All you have to do is look at the axle cap and you can see the 4 nuts in place and the end of the axle even with the side of the cradle. All is well. But it should never loosen up, because you have tightened the fasteners sufficiently to prevent that. Which brings up what is arguably the key issue of bike maintenance. How much do I tighten the fasteners? The simple answer is “a bit more than is needed to keep them from loosening.” In reality, every situation is unique and you are going to have to deal with them accordingly. It helps a lot of you have enough experience to have, sometime in your life, stripped out a screw thread, broken a bolt, and had something fall apart because you didn’t tighten it enough. You would have acquired a certain amount of feel for it. Your brain tells you when to stop tightening. You can buy one or more torque wrenches and tighten according to the specs listed in your manual. I don’t have a torque wrench, but I plan to get one if I ever do anything inside the engine. I do consider myself to have a pretty good feel for tightening fasteners, though. You need to pay attention to what materials you are dealing with. 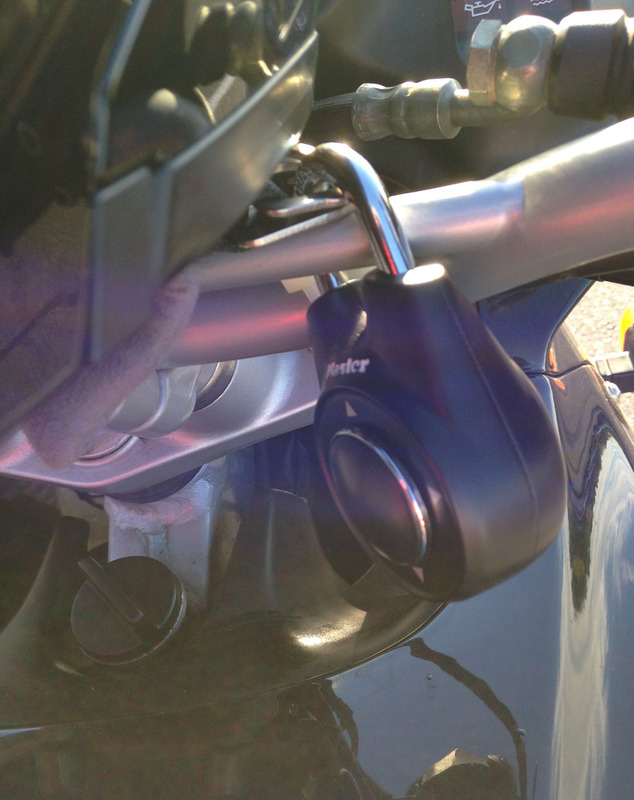 For example, the oil drain plug in the sump of the F650 is steel and it threads into the aluminum engine casing. The published torque specs for this fastener were too high and a lot of bikes wound up with stripped out threads in the engine case. BMW came up with a repair kit to replace the damaged threads, using a thread insert. I tighten the plug without a torque wrench and haven’t had any trouble with it loosening up. In fact, I go by feel for all the work I have done. If I were working on a racing bike, I would make use of a torque wrench because higher speeds and vibrations are more demanding. Aluminum is a lot softer than steel, and hardened steel is stronger than ordinary steel. Cap screws, for example, have a system of marking on them to indicate the level of strength. The F650 engine is attached to the frame with cap screws and plastic insert locknuts. The plastic deforms as the bolt is threaded through the nut and if the nut comes loose the plastic prevents it from spinning all the way off. The front axle cradle cap uses deformed metal locknuts, meaning the outside end of the nut threads is deformed, creating an interference fit. These nuts will also not spin off the stud if they become loose. The body panels are attached with large head diameter screws about an inch long. They thread into clip nuts attached to the frame or to a panel. The natural uneven matching of the components creates resistance to coming loose, and you would spot a loose screw long before it fell out. I haven’t had any trouble with these screws loosening up, or any other screws for that matter. You don’t want your chain to separate while you are riding. It could jam up your rear wheel and cause an accident. When I replaced my chain, I installed one with a master link. I won’t do that again, because I don’t like the little clip that holds the master link together. There is no backup if that clip falls off. And if it falls off the master link will work it’s way apart and the chain will separate. It’s a bit harder to install a new endless chain, but I think it is the way to go. I’m still in the mode of reassuring that working on your bike won’t make it unsafe to ride. If you look at the F650 rear wheel, the axle has a plastic lock nut holding it on. The nut isn’t going to spin off and it is entirely visible. The axle is captured in the other directions by the mounting, so it can’t separate entirely from the frame. It might get a little loose but the chain tension adjustment screws keep it in place. The triple tree can’t even begin to separate from the bike because the locknut is essentially in your face at the top of the triple tree. It’s possible one of the tubes could loosen in the triple tree clamps, but there are two clamps on each side and you would notice something wrong because the top of the tubes are visible and you would see the tube sliding up out of the top clamp. The same situation applies to the handlebars, in that you are looking right at them and would notice anything loose long before it fell apart. Probably the easiest and most expensive approach to maintaining your motorcycle is to buy a new one and let the dealer take care of it. Serious problems would be covered by warranty, and other maintenance would be routine. Most of the expense would be in the cost of the new bike versus a used one. A fairly new used bike could be maintained the same way, except there would be savings in the purchase price that would be offset by increased service charges. With the bike out of warranty, it’s reasonable to use a non-dealer bike shop for service. For working inside the engine or transmission, though, you would need the dealer expertise. I ride a 1997 BMW F650 and none of these approaches is feasible. There is a Honda/Yamaha/Suzuki dealer in town but they won’t work on a BMW, even a new one. Likewise with the Harley Davidson dealer in Meredith. I get the bike inspected at a local bike shop, and they are willing to do routine maintenance on it, but not engine and transmission work. I imagine electrical problems might be an issue as well. Then there is the minimalist philosophy that I am fond of these days. I like the idea of owning a vehicle I can fix myself. Depending on the newness and complexity of the bike, doing work on it yourself will reduce the resale value if you go too far, but if you start with the simple things an owner is expected to do and gradually progress from there, your credibility and expertise as a mechanic will be reasonably matched to what you have done to the bike. 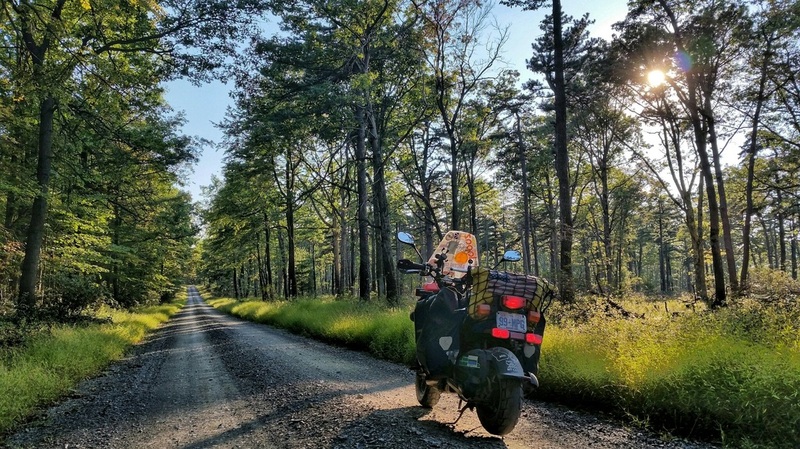 Keeping the bike in essentially original and stock condition is also important for maintaining resale value and limiting the trouble you can get into. The older the motorcycle the more reasonable and necessary it becomes to do your own work, even if there are very few miles on it. The reason is rubber. You will need to gradually replace most of the rubber parts because they get brittle and disintegrate or otherwise fail. Paying someone else to do it dramatically increases the amount of money you have in the bike. My F650 price bottomed out at $2500 with 3600 miles on it when I bought it. It was 17 years old. If I sell it, the price will tend to be about the same, regardless of how much I put into it. I rode the F650 for a couple thousand miles before I realized it still had the original tires on it. (I learned to read the date codes.) It cost about $200 for new Metzler Tourance tires and tubes. I mounted and balanced them myself and I love riding on them. I’ve replaced a most of the rubber o-rings and gaskets in the carburetors, the fuel line, the sponge air filter, and the bike runs well. The rubber grommets that capture the windshield mounting nuts have also been replaced. My next target is the engine breather hose that feeds crankcase fumes back into the air intake box. 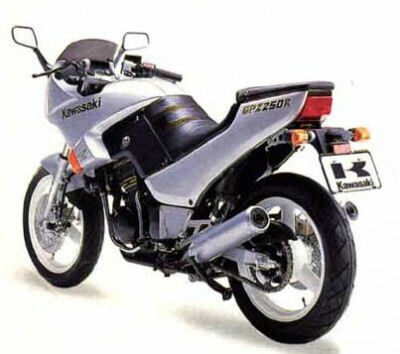 So doing your own work could get you entry into the world of high quality motorcycles that have 10-25 years on them. 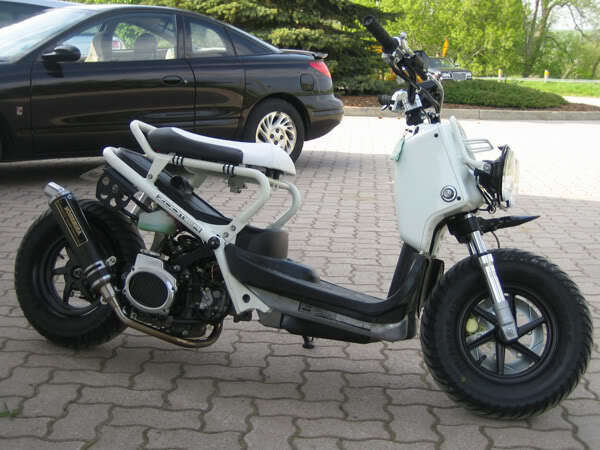 $2500-$3500 for a great bike that you may like better than the new ones, as I do. It helps if you are devoted to the bike, so you build up confidence in it over time, as you become familiar with it and what you have done to it. Owning a bike is different than imagining owning a bike, largely because you have the negatives to deal with as well as the positives. Hopefully, you have minimized the negatives in your purchase selection. Luckily, the F650 has held up well in comparison to alternatives. There isn’t another machine I would prefer, all things considered. It would be hard to put long term effort into a bike you would like to replace. What about mechanical aptitude? You need at least some, but I think you will reach a natural balance between what you do yourself and what you leave for professionals. I love Peter Egan’s books, by the way, and I see that he will check valve clearances himself and maybe even adjust the valve clearance, but that is nearing his threshold for professional involvement, as it is mine. What about workshop space? I operate as a shade tree mechanic and I only need a few cubic feet of storage space for tools and supplies. Working outside in good weather, you can spread out and you are less concerned about messing up the space. If you live in an apartment, there are usually rules against working on vehicles, so you will be more limited in what you can do, but I think you can still manage the routine maintenance. You’ll need a good shop manual. Get a hard copy. I originally bought the online Clymer for F650 but it was too hard to use. Now I have both. I don’t seem to be able to find any existing category name for the motorcycle styling I am fond of. And I’m not able to describe it very well either, but I want to try to apprehend a bit of it if I can. I can see it in some German bikes like the older K series, especially if they have the patina of well-maintained, serious use. These K75 photos don’t quite reveal it, but they put you in the ballpark. 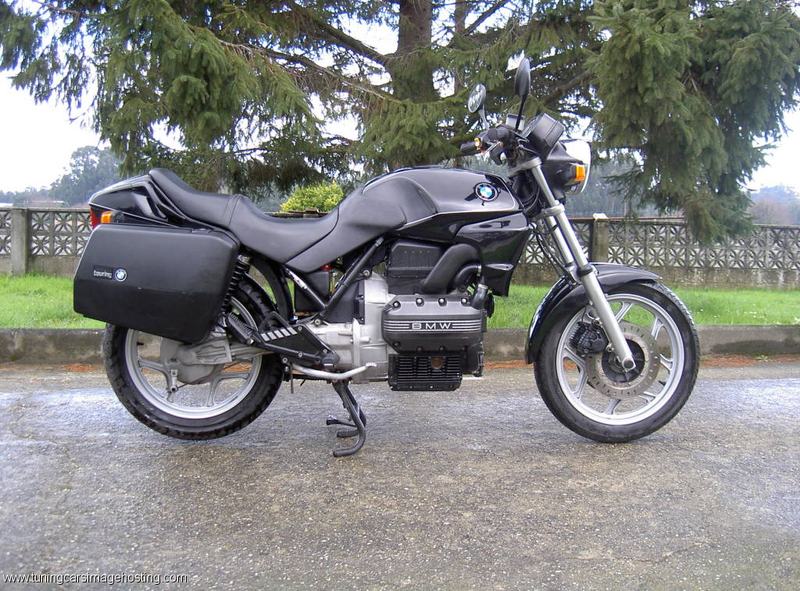 The K100 had a similar look. The F650 has a some of it as well. Photos make the bikes look shinier and slicker than they are in real life.The style has a bit of glossy reflections coming off various parts, but the other parts provide the real character, worn but oozing quality, durable metal alloys, discolorations but no rust, some oil residue but no real leaking, no vast surfaces of plastic, utilitarian but not awkward or unrefined, uncommonly suitable. Almost weapons-grade construction. Understated menace. Found art. The K75 is a good example of the general conflict between style and function when it comes to sustained high speed highway operation. The K75 has a very smooth three cylinder engine an likes to run fast, and at high speed it is nice to be sitting behind a fairing. The K75RT version has a big fairing, but it comes at the expense of style in my opinion. My 1971 Sportster had no plastic on it. Neither did the Triumphs of that era. Nor the early Hondas. Kawasaki started shipping the Ninja 250 in the mid 1980’s and they had a lot of plastic covering much of the structure of the bike, and the mature version of that approach has become the norm today. For me, though, the K75 has a nice balance between the plastic and metal. Your eye is drawn to the ribbon of color along the top of the bike, but then you are captured by the appeal of the metal below. It is a seductive motorcycle. I want to carry more spare parts and tools with me as I begin taking longer rides, but luggage for motorcycles is problematic and expensive. I would love a Giant Loop Coyote saddlebag, but they are $360. For $8 I bought a lock at Lowes that I can use to secure the helmet to the bike, freeing up the top box for storage. This approach gets me a nice boost in storage space at essentially no cost. The lock I bought is a MasterLock Speed Dial in black. It’s sturdy, metal, well made with a nice action. 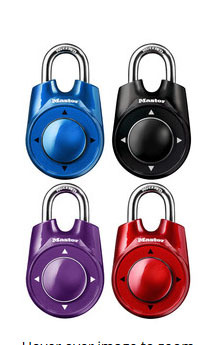 It’s a combination lock that you operate by sliding the big button up, down, left, and right in whatever sequence corresponds to your combination. You can change the combination. 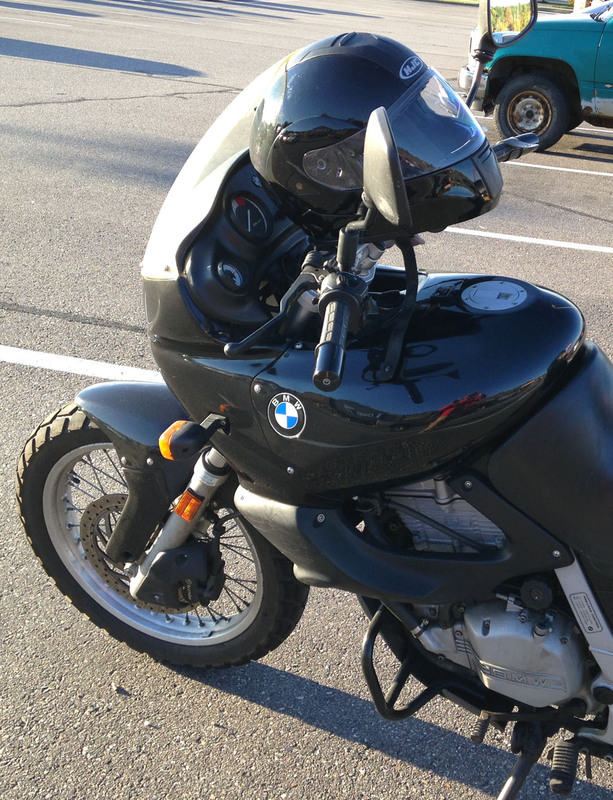 I sit the helmet on top of the handlebars with the rear top of the helmet resting against the windshield. If it rains, the inside of the upright helmet doesn’t get wet. The F650 conveniently has a narrow brace welded to the main handlebar tube, and I can slip the hasp of the lock over the brace bar and through the D Rings on the helmet. I’m uncomfortable just leaving items laying on the bike while in a store or restaurant. People are pretty well behaved for the most part, but it would be just so annoying to have to buy another helmet. So the lock is a huge step up from just hanging the helmet from the left grip like I was doing. Now, no one can just come up to the bike, grab the helmet and run. True, they can cut the strap that contains the D-Rings, but then what good is the helmet? Sheer destructive vandalism is much less likely. So far, I’m happy with the results. I didn’t want to carry another key and I didn’t want to fuss with small combination wheels on the carabiner type.